The staff Each at Home Away From Home work hard to ensure that each age group gets the attention and education they need to have a successful journey through their years of schooling. We believe this starts with a love of learning, so we do all that we can to provide fun and learning-filled activities. 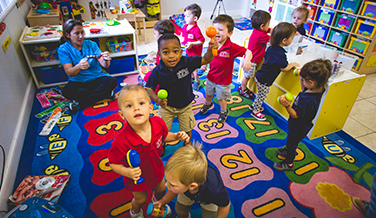 Browse through each of our academic programs and learn more about what makes Homes Away From Home one of the best daycare centers in Florida. The infants who come to us all receive nurturing and compassionate care each and every day. We provide a safe and comfortable environment that you can trust. 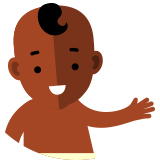 Learning is just taking off during these years and we love watching your little one develop their own personalities, sense of humor, and we love helping them find their unique learning style. 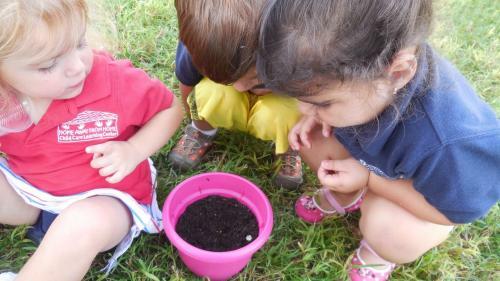 Our preschool students participate in a variety of activities to help them discover the world around them. 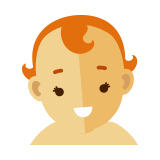 Every day, they gain new social skills, as well as continue to develop their fine and gross motor skills. Home Away From Home provides a free Voluntary PreKindergarten to give young ones additional time to experience the school life & to gain independence & problem solving skills. The curriculum at Home Away From Home was designed to challenge our children, build their self-confidence and, most importantly, develop a love for learning. Home Away From Home follows the Creative Curriculum. Being multicultural based, it encourages learning through arts, language, music, and socialization. 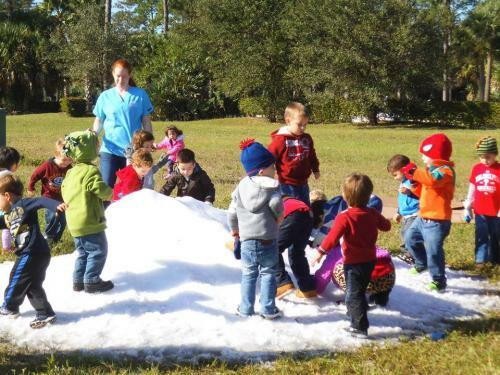 Our Florida daycare centers believe in age-appropriate activities based on the philosophy of a structured learning environment with the ability for creative expression. This nationally renowned approach, built upon cutting edge learning theories and scientific knowledge of child development from early infancy through the preschool years, focuses on teacher-directed and child-initiated learning. The curriculum is goal-directed, based on ongoing assessments for each child’s strengths and interests. With this information, learning can be guided while the child’s social and emotional development is supported by recognizing the important role of parents and of how learning can be reinforced at home. 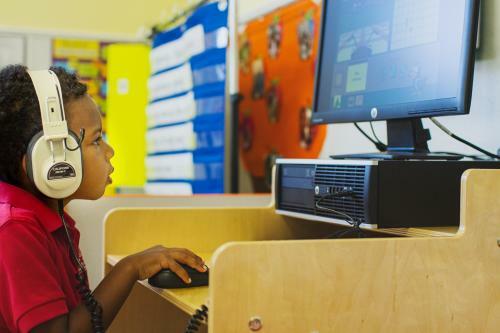 Our daycare centers are equipped with high-tech Kaplan Computers, computer desks, and headphones. 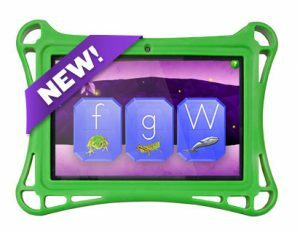 Every VPK classroom is also equipped with an I Start Smart Tablet with HATCH Sync Powered by GOLD and a Teach Smart Interactive Display, which is designed to meet the developmental needs of all children. 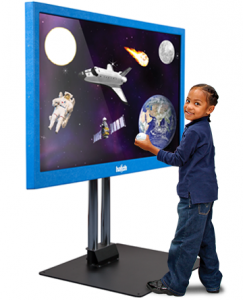 These computers come pre-programmed with state-of-the-art lessons that work alongside our Creative Curriculum and VPK requirements, making it easier for your children to prepare for Kindergarten. As some of you may already know, students are assessed when they get to kindergarten and these assessments are now being done on a desktop computer. Yes, it’s all about technology now! 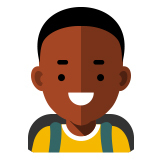 Therefore, HAFH has invested in its success by teaching your children how to master their computer skills. Most of us already have tech-savvy children, using iPads and Laptops better than we can. That being said, they still need to learn the basics of how to use a computer, keyboard, and mouse. Younger children who just learned their ABC’s in order may have a hard time understanding, let alone memorizing, a QWERTY Keyboard. 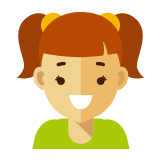 These lessons are a fun way to learn basic keyboarding skills while revisiting the letters of the alphabet, because at this age, out teachers just want them to be comfortable at the keyboard — they will be proficient typists soon enough! Each one of our VPK & Three Year old classrooms has a full-blown Science Center with huge fish tanks and live plants to teach your children about life and botany. Why is all this important? It teaches your children how to take care of a living thing, offers them daily jobs and responsibilities, all while learning and having fun. An experience they will remember forever. 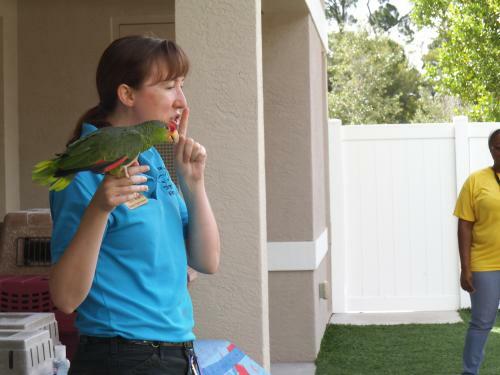 Home Away From Home is one of the only schools in the Southeast Florida area who truly experiment and explore nature. Once a year, your children will experience watching baby chicks hatch right in front of their eyes in our Automatic Egg Incubator. 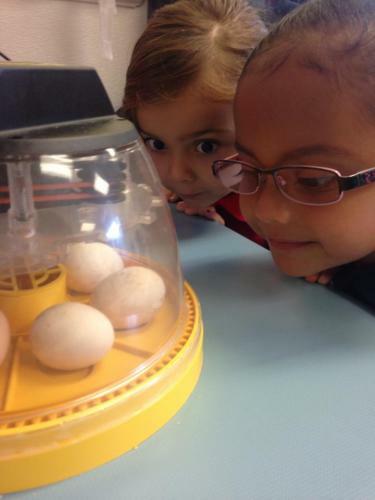 This fully automatic incubator will make examining the life cycle of a chicken come to life in their own classroom. Equipment that includes egg turning, an auto-stop feature, countdown to hatch day, and will accommodate up to ten eggs which are purchased from feed stores and local farmers, we make learning no-hassle and all fun. Once the baby chicks hatch, we will be able to keep them for a week or so and then they will be safely returned back to the farm. The stations also have Chick Life Cycle Exploration sets which will show your children the life cycle of the eggs. Each class at our daycare works with a Sensory Dome which houses over 10 varieties of plants from around the world, allowing the children to learn and watch them grow. The children also will be working on their outdoor garden boxes, which allow the children to grow vegetables and actually eat what they grow. All our Preschool classrooms have their own Ant Farms. The children watch as ants create networks of tunnels throughout the escape-proof habitat and work together to build and defend their colony. This project includes activity guides and classroom posters. HAFH has the Zoo come to us! Each year, our daycare holds visits from the “Petting Zoo” at each location. All the older and younger children participate in playing with baby animals, feeding, and petting them. Parents are always welcomed to come to take pictures and spend some time with the kids at school. HAFH celebrates all special Holidays. These holidays include our Halloween Party, Thanksgiving Celebration, Egg Hunt, Valentine’s Day, Mommy & Me Tea Party, Father’s Day, and Holiday Party in December, where we will be inviting all of our parents to come read a book and educate us on the different holiday customs we share. Each year HAFH hosts a family gathering Winter Fun Fest. This fun filled event is held in January, after all the holiday madness has passed. Who is invited? 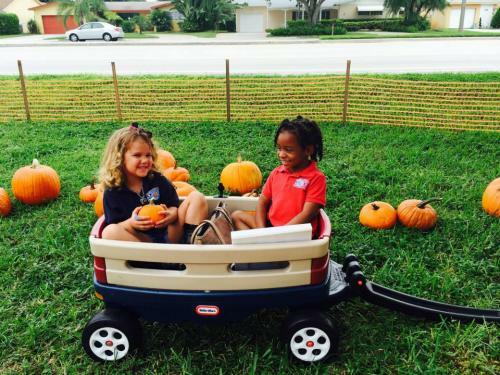 All of our HAFH Preschool Families – Royal Palm Beach, West Boynton Beach, East Boynton Beach, and Wellington. This is our way of giving back to you, our families. It’s a way of getting to know you, personalizing all our friendships, and getting to meet each and every one of you. Yes! 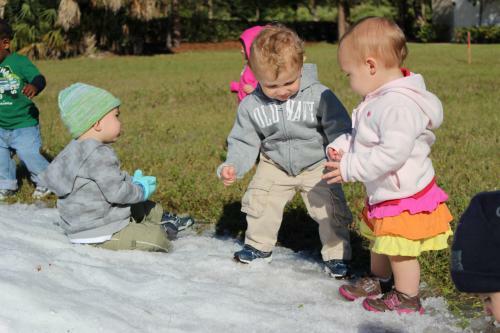 Snow in Florida! How exciting! 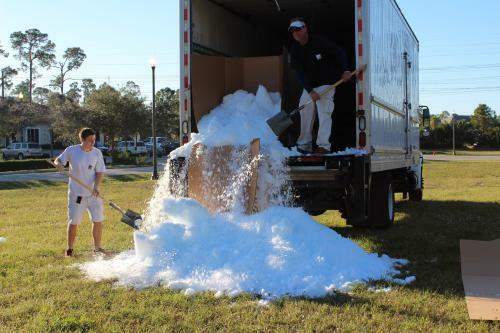 The children get to experience a mountain of snow delivered on this special day. Dry Bounce Houses, Face Painters, Balloon Artists, Tattoo Artists, Candy Stations, Special Characters, Pie Facing Stations, Silly String, Water Balloons, Lots of Games & Prizes, Photo Booths, and So Much More. Hot Dogs, Drinks, Cotton Candy, Ice Cream, and Snow Cones will be available to make it a day to remember. Needless to say, our daycare is hard at work with extra activities to keep all our children motivated and excited about school while teaching them kindergarten readiness skills and memories that will last them for years to come. In honor of Dr. Seuss’s Birthday on March 2nd, our daycare celebrates Read Across America with a Dr. Seuss Parade. Every age group selects a classic Dr. Seuss book to represent at the parade. Since this is one of our favorite authors, we begin the celebration early with a week of dress down days of silly, wacky, and unimaginable fun with special guest like The Cat in the Hat, Thing 1 & Thing 2!